For every self-acclaimed strong man, there is a God who takes away even the captive of the mighty and delivers the prey of the terrible. History has a way of repeating itself. Very early in the life of this world, there arose a certain Pharaoh that did not know Joseph. He subjected the children of Israel to such hardship as had never been known before except for a time like this in Nigeria. The people’s backs were lashed with whips and many more had their spines broken as a result of the slavish condition this Pharaoh subjected them to. They cried; they wept; they mourned, yet, there was no respite in sight until that day when God appeared to Moses and ordered him to go down to Egypt and tell Pharaoh to let His people go! Moses delivered the message, yet, Pharaoh kept on playing god over God’s people. Not even all the pleas and miracles wrought before him could melt his heart or bend his will. For no just cause, he insisted on punishing the people. Not even the desperate appeals of Moses and Aaron could convince Pharaoh. The Lord had hardened his heart so that He would “lay my mighty hand on Egypt and with my mighty acts of judgement I will bring out my divisions, my people the Israelites”. Pharaoh and his army even still pursued the Israelites into the Red Sea when they were eventually let go. Not even the pillar of cloud by day or the pillar of fire by night could deter the tyrant. That day, his tyranny was swallowed up in the sea. That history is repeating itself today, unfortunately, in Nigeria! There has been a new Pharaoh in town. He arose in 2015, subjecting the people to all manner of hardships and enslavement. His native soldiers whose expertise is to yoke cattle have been unleashed on the people to burden them with the yoke of death. The Pharaoh sees this but keeps mute, or even laughs as the people groan under the terror of his herdsmen. No one is arrested, none is prosecuted for their murderous crimes. He even compensates them through his proxies, one of them a midget-Pharaoh, Pharaoh’s chief ally in tyranny and despotism. They have not hidden their hatred for God’s people dwelling in the Eastern part of the Niger, the Igbo people, dwellers of the land of the Rising Sun. Right from the time of the emergence of this Pharaoh, he had declared rather rashly and brashly that he would subject the people to 97 per cent of suffering and only 5 per cent of reward. After much pain and wickedness visited on the people, with all their appeals for fairness and justice falling on deaf ears, Pharaoh having subjugated them the more after every appeal, the people cried unto their God, the Almighty Deliverer, and he arose in His wrath and called a man, Nnamdi, the son of Kanu, of the lineage of fearless warriors, to go down to the land of suffering and tell Pharaoh to let His people go. Rather than obey, this Pharaoh, in active collaboration with his advisers, magicians and sorcerers, turned around and arrested Nnamdi, the son of Kanu, of the lineage of fearless warriors, and his colleagues, and incarcerated them for no just cause. 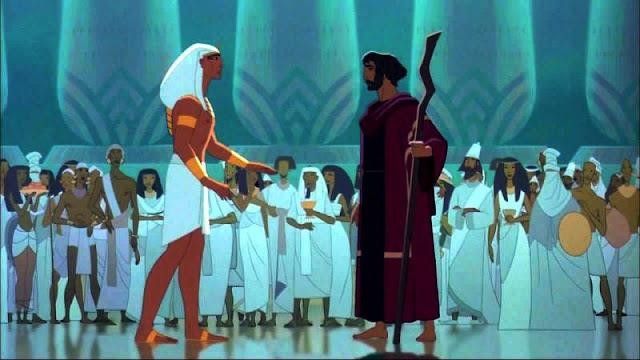 Even when the courts said “Let them go”, Pharaoh’s advisers swooped on the courts, harassed, intimidated and persecuted the judges for reiterating the divine mandate. Therefore there was much wailing in the land. And just like the Pharaoh of the days of Moses, the heart of this Pharaoh was hardened the more and he went further to seize El Zakzaky, the bearded Shiite, and his wife, got them both shot, humiliated them by pushing the man around town in a wheelbarrow like some tubers of yam being wheeled to the market for sale. And this angered God so much! On the day Pharaoh was so struck he could not even come out to receive the cheers of his marabouts and praise singers, the angel of the Lord visited Nnamdi, the son of Kanu, of the lineage of fearless warriors, and broke in “pieces the gates of brass, and cut the bars of iron in sunder”. Although there were still plenty mines set as trap for him before he could walk out of confinement, his people from the land of the Rising Sun rallied round him like never before and met all the stringent conditions in record time, putting to shame all those who said that the people were not and can never be united to pursue any cause successfully, and he walked into freedom. That day, the people danced, rejoiced and came to believe even more in the saving power of the Lord. Although the Lord is merciful and forgiving, Pharaoh and his messengers have refused to take advantage of this window to do restitution and set free all those they have shackled unjustly in different dungeons all over the country so that the Lord will also show him mercy and heal him of his infirmities. Even Peter Ayodele, the Nwannedinamba Ndigbo, the rock-solid son of Fayose the Ekitite, and Femi, the Odum-Agu of Christendom, the brave son of Fani-Kayode the Osunite, warned several times that if Pharaoh does not change his ways and stop behaving like god over the people, oppressing them at will, he would have God to contend with. They even came from distant lands to show solidarity, writing letters of encouragement to support Nnamdi. But rather than listen to these apostles of truth, Pharaoh’s jesters parading as his friends, chose to advise him to ignore them and even persecute them with so much venom. But for every rod of Pharaoh that was thrown to the ground and turned to a snake, the rods of Fayose and Fani-Kayode swallowed them all up. Finally, what will it cost this self-acclaimed strongman to repent of his wickedness and ask all his victims of injustice and unfair treatment for forgiveness? Why would he not swallow his pride and stop chasing the people even going into the Red Sea with them and getting himself drowned in the process? Why keep on playing god when God himself has shown you by his mighty hand that He alone is God? There is a voice from above saying, “Pharaoh, let my people go! Let them go from hunger! Let them go from depression! Let them go from oppression! Let them go from poverty; just let my people go, or I continue to contend with you”!